We are all stewards of the resources, abilities, and opportunities that God has entrusted to our care. We receive God’s gifts gratefully and share them lovingly with others. One day each one of us will be called to give an account for how we have managed what the Lord has given us. 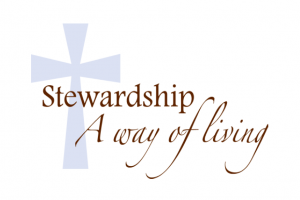 Stewardship is an ongoing process. It is a continuous revelation that God has given us special “gifts,” special talents. The touch of God can be felt on another’s life, and sensitivity to the needs of others is the healing, helping hand of God. This is Christ’s definition of Christian charity. We each need to prayerfully reflect on how God calls us to share our time, talents and treasure for the good of all people. How is My Treasure Used? Stewardship applies not just the giver of gifts, but to the recipient as well. The Saint John Neumann staff and leadership try to be the best stewards of the generous gifts received from our donors. The management of daily financial matters and operational accounting is handled by trained professional staff employed by Saint John Neumann. The Finance Council provides advice and counsel to our pastor about the financial aspects of the operation of the parish in keeping with the church’s code of Canon Law. • Samaritans – work with individuals trying to break the cycle of poverty by providing personal finance mentoring as well as assistance to work through a financial crisis. Working with local groups and the Fairfax County, State, and Federal assistance programs, we feed, clothe, house, and educate those in need. How Much of My Treasure Should I Give? This is a very personal matter and one that we hesitate to address directly. However, the question is often asked of us, so we offer this challenge as a response. Most people live their lives by the eight-day week: Monday, Tuesday, Wednesday, Thursday, Friday, Saturday, Sunday and Someday. Many people plan to do noble things. Good stewards know the truth. The fact is that Someday is not a day in the week, and Someday never comes. Remember, you get out of something in proportion to what you put into it. How much do you put in your envelope each Sunday? The dollar amount is not the important part of the answer. How much of YOU do you put in? How much of your gift is a representation of your love and thanksgiving? How much is a sacrifice? Do you give a dollar or two because it’s easy to give? Or, do you give a gift from your heart? Finally, what do you expect to get in return for what you give? You may think you shouldn’t expect anything; after all, you don’t make deals with God. 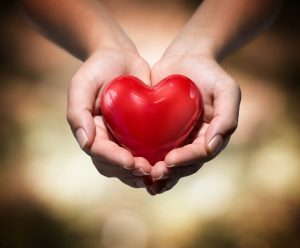 But can we ignore our Lord’s own words: “Give and it shall be given unto you.” If you believe our Lord’s own words, then it would follow that the more you give, the more will be given to you. We should prayerfully reflect on our weekly giving. One way to determine an appropriate gift is to consider giving the equivalent of one hour’s wage or 1/40th of your weekly income.